Divided into two volumes containing 163 chapters in total. Completely revised edition with updated information, referenced with most recent citations. Specifically focuses on pathophysiology, pulmonary interventions, newer diagnostic techniques and treatment modalities. 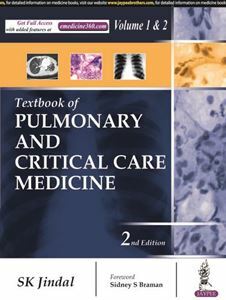 Contains separate sections on respiratory history, physiology, pharmacology, radiology and diagnostic techniques. Includes chapters on pulmonary perspectives such as history, ethics and economics. Aims to provide comprehensive but concise information, using a large number of tables, figures and flow charts. The chapters are written by over 200 contributors from different countries, including India, America, Europe, South Africa, Japan, and Middle East. Useful to the educators, pulmonologists, intensivists, thoracic surgeons, pediatricians, clinical practitioners, who are treating the patients with lung involvement; and also for the postgraduate students.